We, at Southern Spices & Extracts, strive not to just supply to customers but to provide a unique and positive experience through the whole process from receiving your enquiry to post business communication and beyond. With help of certifications, We understood that we could serve our customers better, provide trust and mutually beneficial business. 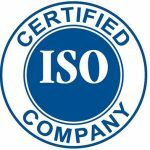 We are ISO 9001 : 2015 certified organisation. We adhere to our Quality Management System so that it enhances our ability to consistently provide products and service so as to meet both client and regulatory standards. The methodology and flow of communication because of our standards, surely does provide a personal touch to every client. Every product we provide are Halal Certified issued by Halal Certification. Our Food Products we supply are free from unlawful Ingredients. 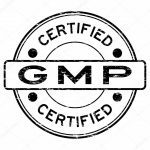 Our facility is GMP Certified. Our production facility and products adhere to standards to World Health Organisation’s Good Manufacturing Process. From ensuring standards on Inputs to Despatch, every factor involved is documented and monitored regularly to ensure there is no deviation to end product. With growing demand for Capsaicin Powder and being a Active Pharmaceutical Ingredient, We have registered our product with US FDA and share our Open Part of US Drug Masters File. We would be very glad to work with clients in partnership in creation of drug product. Our Food Facility is registered with United States Food and Drug Administration (USFDA). We can also issue Prior Notice to shipments to USA if required. You can be in peaceful state of mind and not worry about neither our Quality nor our Service. Please reach us out to get our Certificates. Virudhunagar - 626001. Tamil Nadu India. Copyright © 2018 - Southern Spices & Extracts. All rights reserved.